A cracking 15lbs fish caught by David Sutherland on the Bemersyde water on 21st August, one of three fish caught……………….Another Six Lost!! Thanks to Bemersyde Fishing for the photo, don’t forget to follow them (Bemersyde Fishing) and outselves FishTweed on Facebook too. 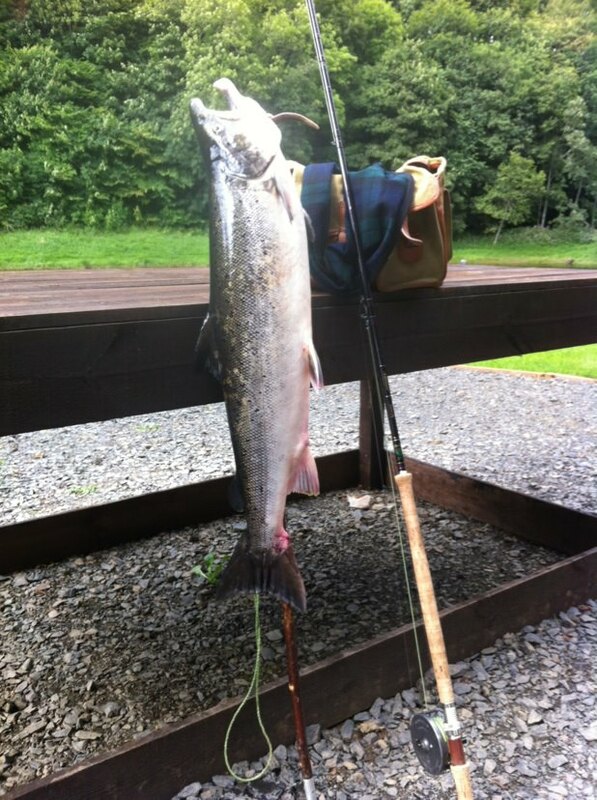 This entry was posted in Uncategorized and tagged Angling, Bemersyde, boatmen, fishing, FishTweed, River Tweed, salmon, Tweed, Tweed Valley. Bookmark the permalink.